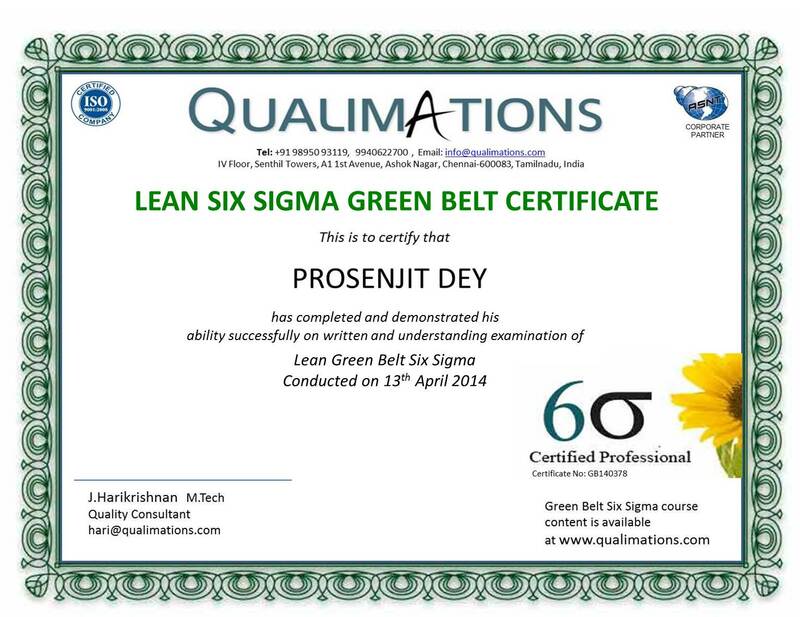 Six Sigma means a measure of quality that strives for near perfection. Six Sigma is a disciplined, data-driven approach and methodology for eliminating defects (driving toward six standard deviations between the mean and the nearest specification limit) in any process – from Customer – Design – Development-Production-Testing-Delivery-Service. Numerically it also means 3.4 defects per million opportunities. Every organisation must attend to the present, some attend to the present until the next recession happens. Some know the reason to their profits hence identify and adopt methods that protect them against such chance causes. Qualimation helps you create a balance between Long and Short term business strategies through a process of Revenue Maximization. Qualimation teaches you the full potential and power of analytic (Science of inference and planning).Organizations must collect and analyze data to determine system suitability and effectiveness so that improvements can be made. Qualimation has methods to record and analyze customer complaints. Handling customer complaints can be difficult, but successful organisations rely on satisfied customers. Customers are increasingly demanding the best, fastest and most convenient and if they feel their complaint or objection is not being heard and dealt with effectively they will take their business elsewhere. Being able to listen, respond to and handle customer complaints in a positive manner will be an important step in creating long-term customer loyalty. At Qualimation we support you in understanding your customer better by analyzing and telling you what they really mean or imply. 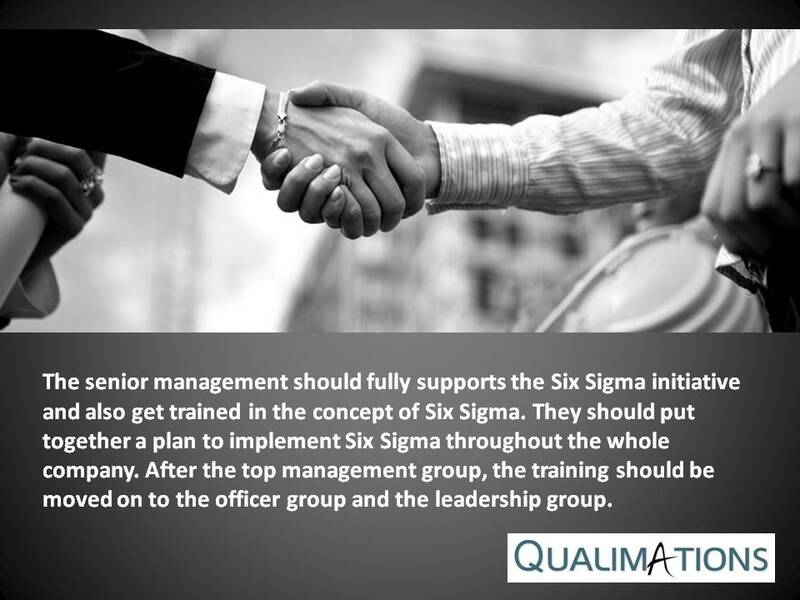 Develop a cadre of executives with world class six sigma leadership qualities. Thoroughly understand the Input vs your output relationship through the quality cost approach. Automobile manufacturers are the ideal candidates to benefit from Six Sigma quality improvement methodology. Their industry produces a complex product that results from a multitude of manufacturing processes. Auto makers acknowledge the importance of quality not only in producing a profitable product, but also in winning the hearts and minds of their customers. Throughout its history, the automobile industry has provided both good and bad examples of how to implement continuous quality improvement. Today, many auto makers are exemplifying the best way to implement Six Sigma methodology. .
Six Sigma training is becoming more valuable. As the cost of quality and competition continues to increase, it’s difficult to justify spending thousands or even a hundred thousand dollars to projects that offers little return on the investment. A person with a basic education either technical or science and topped with a Six Sigma education and skill is immediately employable. When the six sigma DMAIC is being used for managing a business project, the first step involves defining all the potential threats that can affect the company’s productivity and profitability. This brings in huge revenue and cost saving for the company.